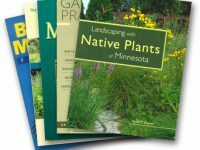 Located in the heart of the prairie region of west central Minnesota, Morning Sky Greenery is a nursery specializing in MN native prairie wildflowers and grasses. 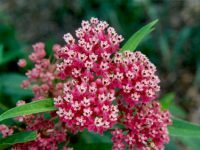 We are impressed with the beauty, vigor and usefulness of these native plants. Morning Sky Greenery is dedicated to helping preserve this important part of our natural heritage. We invite you to visit during our regular retail hours, or please call or email to make other arrangements. We offer a very nice selection of native wildflowers that are indigenous to the prairies, to the wetlands, to the woodlands and everything in between! Most of them are Minnesota native wildflowers. All of them are native to the Northern Great Plains and to North America. 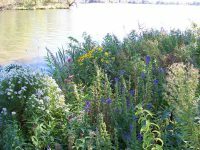 Depending on the project, whether it be shoreline or lakeshore restoration, raingardens and infiltration basins or backyard butterfly, birdwatcher and pollinator gardens, we grow the wildflowers for you! The number of native plant species we grow is always expanding. If you are looking for any particular plant, we may just have it! We can also help you choose wildflowers that are native to your area. Please contact us, we are glad to help! 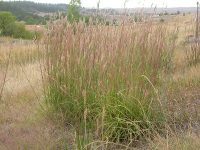 Whether you are planning a prairie or shoreline restoration project, raingarden or infiltration basin, butterfly, bird watcher, or pollinator garden: grasses, sedges and rushes are an an integral part of the native landscape. Plants in the grass family seem to hold it all together. They are the framework of a native prairie, lake shore or garden. Their root systems are deep and can hold shoreline in place, they are good at water absorption, they provide food and cover for wildlife. Simply put, they are amazing plants! We grow a wide variety of grasses, sedges and rushes for all of your project needs. Please contact us if you would like help choosing the right combination of grasses for your native landscape project! 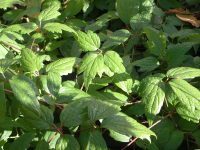 Some of our trees and shrubs are offered in the smaller sizes. Available in 6 packs, 3.5" pots and 5.75" pots, they are an economical alternative for larger native landscape or shoreline restoration projects. 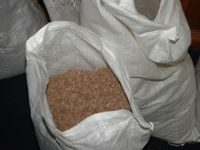 We also carry gallon sizes which may be picked up at our nursery. 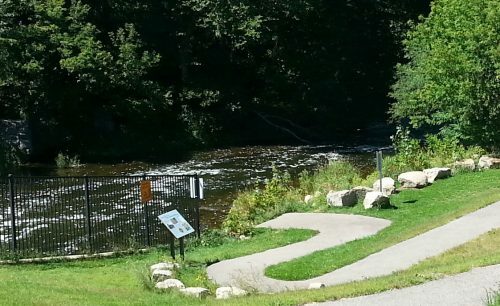 We will deliver larger trees and shrubs with shoreline restoration projects in our region. 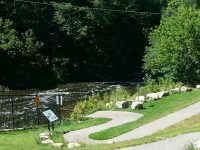 Morning Sky Greenery offers a low-cost alternative: Raingarden "Natural Sponge" Package, Wildflower Garden Packages and Lakeshore and Prairie Packages. We can offer you a low price, because there is no "In-house" or "On-site" consultation with these packages and we get to choose the plants at the time of shipment. 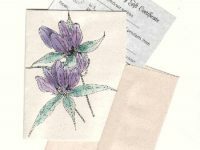 Plant lists and designs are included with the order, but are not available ahead of time. These economical packages are made up of a diverse selection of native plants - not just the common ones! Leave us some information about your site and we will use our discretion to choose the best plants which we feel are healthy, quality plants that will bring you great joy in your landscape spring through fall. We carry a variety of shoreline restoration supplies, so that you have a one stop shopping experience! 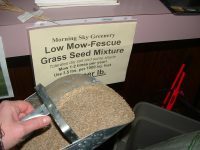 We can have coconut fiber blanket and stakes and/or plants delivered to your site or you may pick them up at Morning Sky Greenery. Please inquire about delivery cost.